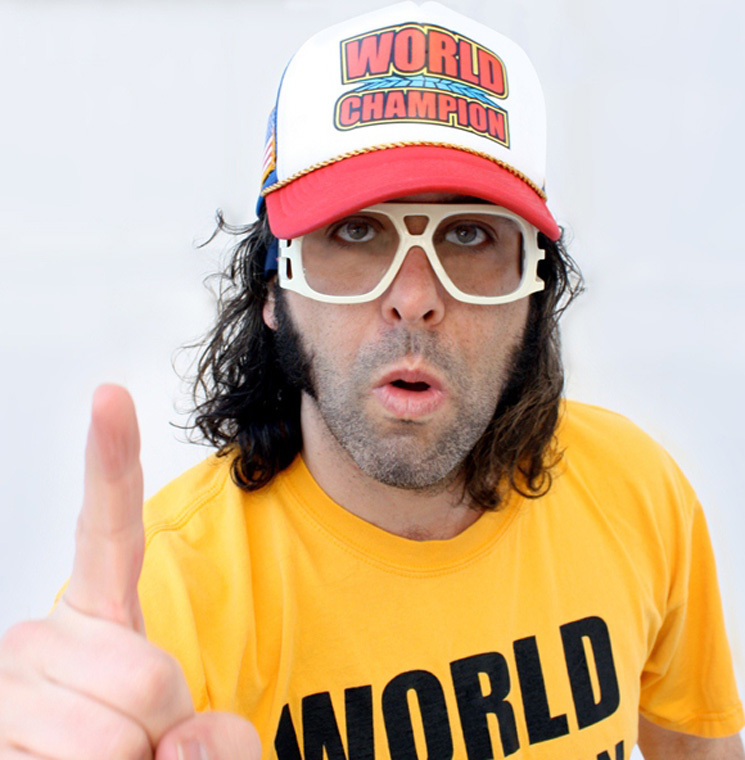 Judah Friedlander was a stone cold killer at the Royal Theatre. He resembled Charles Manson in Michael Moore's clothes as he stared out at the audience from beneath a baseball cap with an American flag on the side pulled low over his glasses. He began the set congratulating the audience in great detail with a pointedly unimpressed tone of voice, which had the sarcasm meter soundly calibrated for the rest of the night. Most of his material consisted of his sardonic, at times brilliantly improvised presidential platform, delivered with pointedly little stage pacing, as though speaking over a podium that wasn't there. Friedlander's presidency — inaugurated after he fights Donald Trump in the White House parking lot tomorrow — consists of wide-ranging policies from mandatory abortion to invading North Dakota, thereby intimidating North Korea. It had to be assumed that Friedlander's Q&A session on American policy — which ran for the better part of an hour — had a fair amount of pre-loaded responses to predictable questions. However the flood of inquiries he opened the floor to made it likely that there were some questions he was unprepared for. The difficulty in telling which questions those were was a testament to the uniquely present quality of his performance. Despite his unfazed demeanour — which he shares with his 30 Rock character Frank Rossitano — it's unlikely he could have phoned in such an interactive performance. If he could, then that's all the more impressive. Friedlander's presidential campaign material was bookended by a dizzying barrage of bizarre one-liners each one almost entirely disconnected from the last. He also enjoyed sporadically playing conspiracy theorist throughout his set, at one point claiming that he had never seen a UFO because he was able to correctly identify every alien space craft he encountered. Equal parts thoughtful and outrageous, Judah Friedlander's crusty, truther, deadpan persona seemed endless and impenetrable. The "world champ" — as his jacket, T-shirt and hat loudly declared — touted each one of America's world #1 shortcomings (murders, obesity, etc.) as incontrovertible strengths. Ask him why there are more shootings in America than Britain, he'll tell you it's because the British have no hand-eye co-ordination. Ask him why there are no earthquakes in the American Midwest, he'll explain the effect American obesity has on "holding the ground down." Most of Friedlander's material was honed in preparation for his upcoming Netflix special America is the Greatest Country in the United States. He plans to retire all of it once the special is released this Halloween. It was a massive pleasure for all involved — many of them directly — to see it go down live.